Having previously worked in an in house recruitment role for a leading global consultancy firm, I have been interested to maintain my network in this sector and see how it has evolved over the last few years. Currently this is a growing area in the market and is certainly an exciting potential career path for compliance professionals. For the purpose of this piece, I am specifically talking about consultancies outside of the ‘Big Four’ sphere. What do compliance consultancies do? 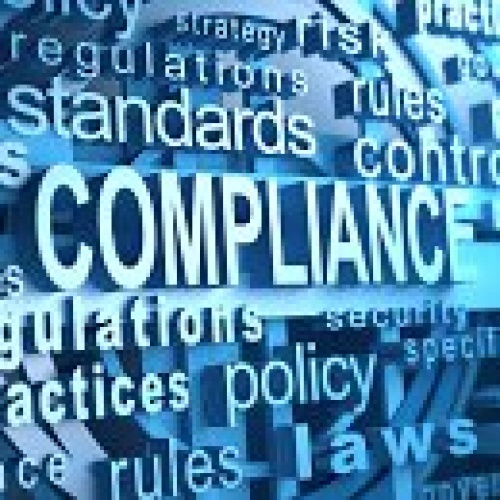 In simple terms, the compliance consultancies we work with provide a range of regulatory and compliance services to clients. These can often include ‘ongoing consultancy’ services, offering a regulatory hosting platform, skilled person reviews (S166), project work and training. The bulk of consultancies we recruit for are buy side focussed and their clients include a range of hedge funds, private equity firms, other alternative investment houses and investment managers. Some of our consultancy clients also have a client base in other sectors within financial services so we can still assist those with compliance experience gained on the sell side or retail banking/ payments and lending. Firms using consultancies range in size and age, from very small start ups, through to well established, larger firms. The work is extremely varied, ranging from assisting start up firms with their FCA authorisation (setting up policies, procedures and a compliance infrastructure for them), through to regular monitoring work, financial promotions reviews, policy implementation, regular advice on how current regulation will impact their firm, through to ad hoc projects and training sessions. The role of the consultant is split between handling client work in the office and then regular meetings and visits to client offices. Consultants tend to work closely with a portfolio of these clients, building relationships with them and having regular contact to ensure they meet their regulatory obligations. What attributes make a good consultant? Most of our clients have their own in house graduate schemes so the candidates they are most interested in seeing need to have a level of proven compliance experience behind them. We tend to find a minimum of 4/5 years experience is helpful. Most consultancies will try and build out a team that offers a varied expertise. For example, some consultants have worked for the regulator, some have worked in in house compliance roles with relevant firms and of course, some have worked for other competitor consultancies. A combination of these backgrounds in the same candidate is very attractive. Strong regulatory knowledge is a must, as well as someone who ideally has ideally had a broad compliance experience. Consultants are expected to be ahead of the curve in terms of what is happening in the regulatory environment, know which regulations are coming up, how they will affect their clients and what needs to be done in practical terms to ensure clients are in line with these regulations. Able to juggle a variety of issues and clients at any one time. Will I have to get to grips with sales in order to work as a consultant? Not necessarily and in most cases, no. With most of the consultancy clients we recruit for, the sales or business development aspect is either handled by a separate team entirely, or is led by the more senior Directors/ Partners. What is more important is having a ‘commercial mind set’ i.e. knowing when to discuss services with clients. Often as consultants gain more experience, they can get involved in client pitches and networking. What is most important is having the strong compliance experience, interpersonal skills and commercial mind set. Our clients want to hire people who will be very hands on and meet their client requirements, rather than sales people! We have built up a strong network of select and highly reputable compliance consultancies, mainly through referrals. They range from some larger global consultancies, through to some smaller but growing, more boutique consultancies. We are currently working with a range of these clients who are currently seeking to build out their teams of consultants. We have definitely seen this particular area in the market continue to expand in 2016 due to the ever increasing demands from the regulator and with firms wanting to ensure they are meeting these regulatory obligations. We are also able to make speculative introductions to a range of our consultancy clients if we feel your background would be best suited to their particular team and expertise. This approach has resulted in successful hires. Why would consultancy appeal to you as opposed to an in house compliance role? What do you imagine are the differences in being a consultant to an in house compliance officer? What do you see as being some of the main challenges you would face in transitioning in to consultancy? How would your interpersonal skills and also career experience would translate well in to a consultant role?